This is my first time canning anything. Ever. I don’t have any idea how it will turn out because this has definitely been an experiment. First, I have no formal canning equipment. I cobbled it all together from stuff already in my kitchen thanks to this helpful post. Rereading this recipe in preparation for this post, I made a discovery. I misread the recipe and used only four cups of sugar instead of five. It truly will be a miracle if this all turns out. So far it seems that every jar has sealed. We shall see in a few days if they stay that way. There was a bit left over and it tasted good. I wonder if the missing sugar will affect the consistency. Despite the learning curve here, I am inspired to keep on canning. I think I have a new addiction that just may justify spending even more money on kitchen equipment. 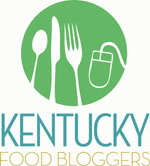 Here are some recipes/websites that particularly inspire me. Peel and core pears. Finely grind or chop fruit. Measure exactly 4 cups prepared fruit into 6- or 8-qt. saucepot. Stir in lemon juice. Stir in pectin. Add butter to reduce foaming. Bring to full rolling boil (a boil that doesn’t stop bubbling when stirred) on high heat, stirring constantly. Add sugar; stir. Return to full rolling boil and boil exactly 1 min., stirring constantly. Remove from heat. Skim off any foam with metal spoon. 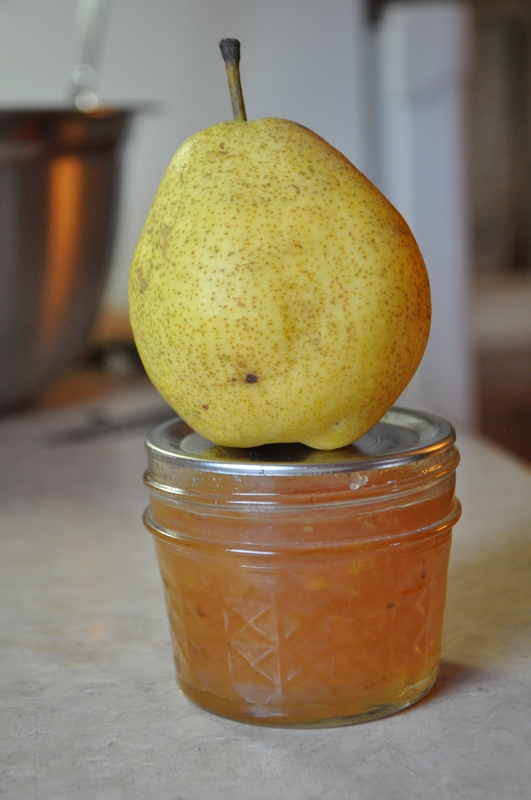 This reminds me I need to make pear jam! I love it with Stilton cheese and crackers. Oh yes! 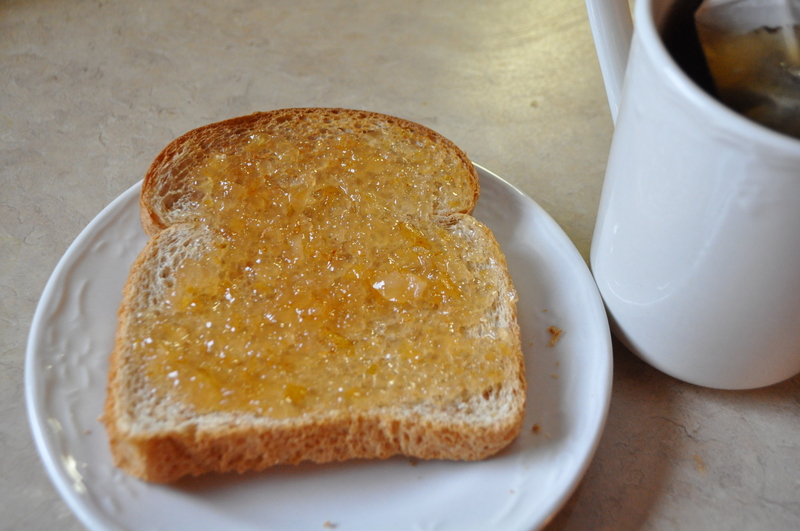 I will have a post about the glories of good cheese with pear jam coming soon. I am just now getting into preserving food but I am in love. Oh it’s great. I have a ton of stuff in my freezer ready to make into jams. I need to start soon. Just need to find the time!